A few years ago Alyse Emdur found a photo of herself as a child posing in front of a mural of a beach with her two siblings. When she asked about the photo, her parents explained it was taken in a prison lobby during a family visit to see her then-incarcerated brother. 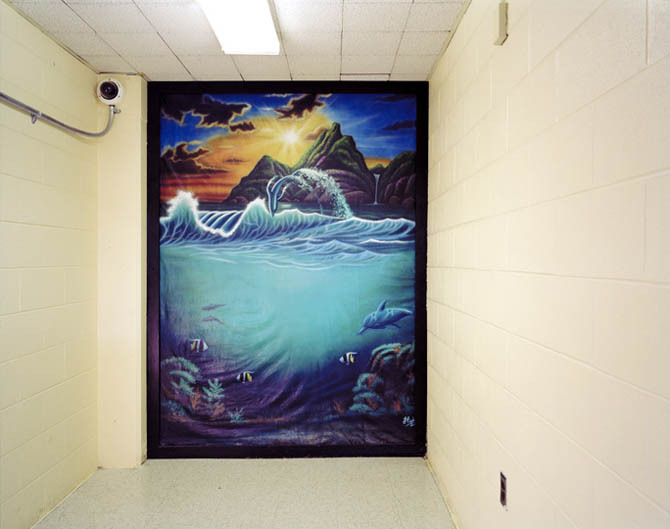 After some research she found that these backdrop murals are actually a common practice for prisons, and in many cases are even painted by talented inmates. 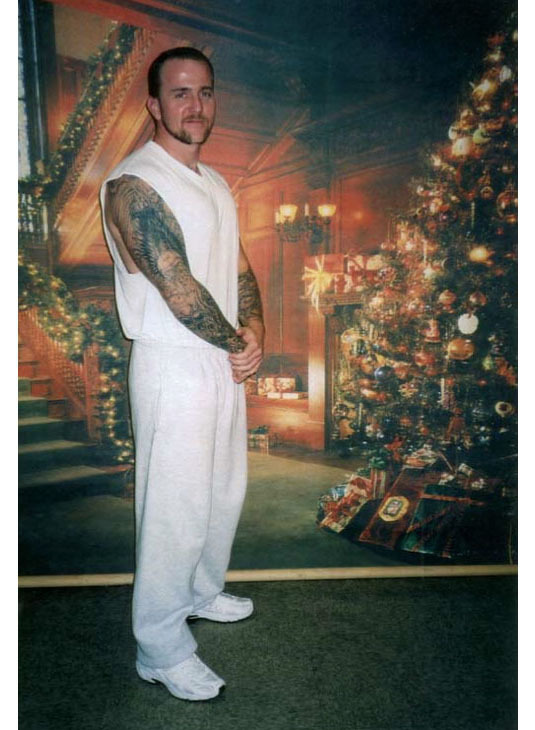 The logic for prisons is that limiting photography to what's essentially an impromptu portrait studio protects potentially sensitive images of the prison's structure from being shared, while still allowing families to snap photos together that don't necessarily reveal that one member of the family is currently incarcerated. When Emdur asked prisons for access to photograph a series of the backdrops for her book, almost every location denied her request. 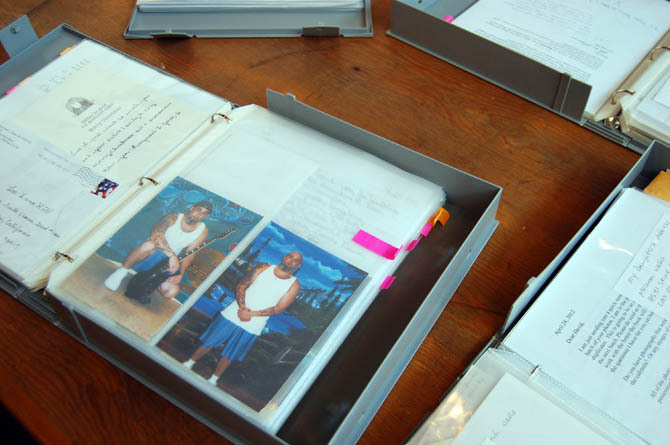 So instead of taking the photos herself, she collected images by exchanging letters directly with inmates asking if they'd share any family photos, and she eventually received 16 binders worth. Head over to BLDGBlog to read an interview with Alyse Emdur about the project. 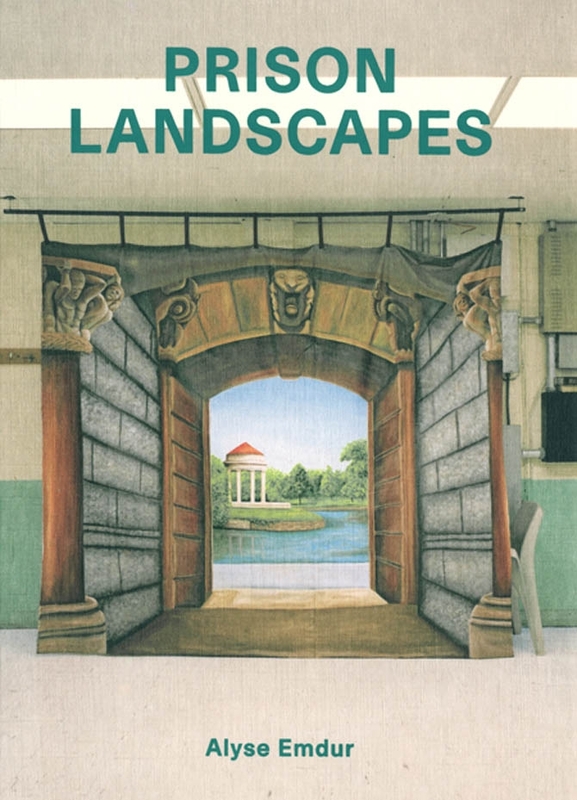 Alyse Emdur's book, Prison Landscapes, is available now.